The launch of the Institute of Hospitality Business Game Competition 2014 proved to be a great success, with the final taking place on Monday the 17th March. Running alongside the annual Passion 4 Hospitality Student Debating Competition, the Business Game Competition welcomed academic institutions and hospitality establishments to enter a team of 4 or 5 individuals to compete in the preliminary round of online heats for a place at the live final. Using the latest version of the HOTS Business Simulation, the teams were appointed as the senior management team of a large virtual hotel and were required to make successful business decisions across 11 key areas, including Revenue Management and Human Resources. The top 4 teams, in terms of their hotel’s performance, were invited to the live final at the University College Birmingham to compete for the winning title and the industry textbook ‘Hotels & Motels: Valuations and Market Studies’, kindly donated by Russell Kett at HVS. Even though the competition was open to both hospitality students and industry professionals, all of the 11 teams that registered were from academic institutions. The competition even attracted international attention with a team entering from the IMI University Centre in Switzerland. Although the competition required successful completion of the online heat in order to be in with a chance of reaching the live final, unfortunately the competition saw some of the registered teams withdraw due to lack of experience with the HOTS Simulation. Although no prior experience with the simulation was required in order to enter the competition, some of the teams felt that they would have benefited from further training. The HOTS Business Simulation is a highly popular professional development tool for both Universities and organisations alike as it facilitates experiential learning in a financially-safe environment. Being a realistic representation of the hotel industry and the wider economy, and also having the ability to be modelled on real-life business environments, the benefits to student and professional learning are many. In partnership with HOTS, arena4finance delivers a course to both organisations and educational institutions using the latest version of the simulation. 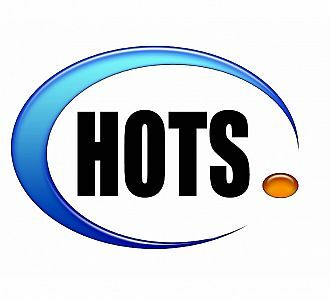 To find out more information about HOTS and how it can benefit your students or employees, please visit our HOTS course page. If you would like to discuss your individual requirements, please contact us on +44 (0) 1202 842 809 or at hello@arena4finance.co.uk.